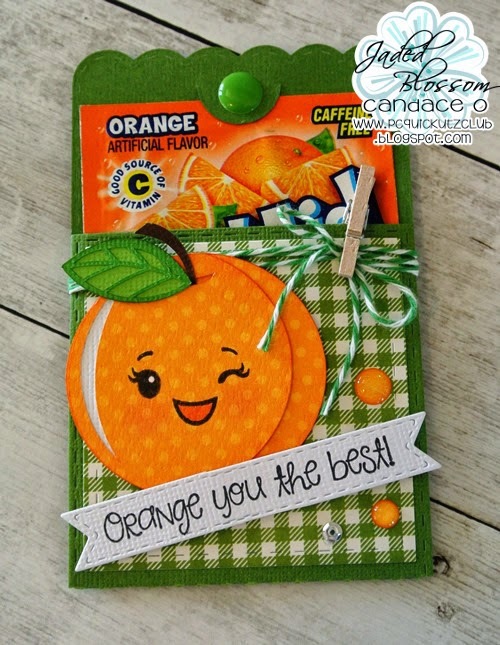 Jaded Blossom: Orange You the Best! Hi everyone! It's Candace from Candi O. 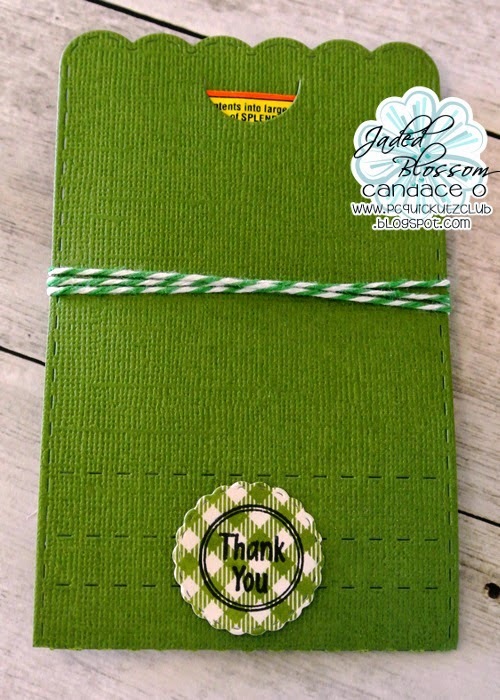 Designs and it's my day over at Jaded Blossom and I am sharing a treat holder I made with the lollipop die ~ love this die and how universal it really is! You can use it for many different projects, not just for lollipops!! 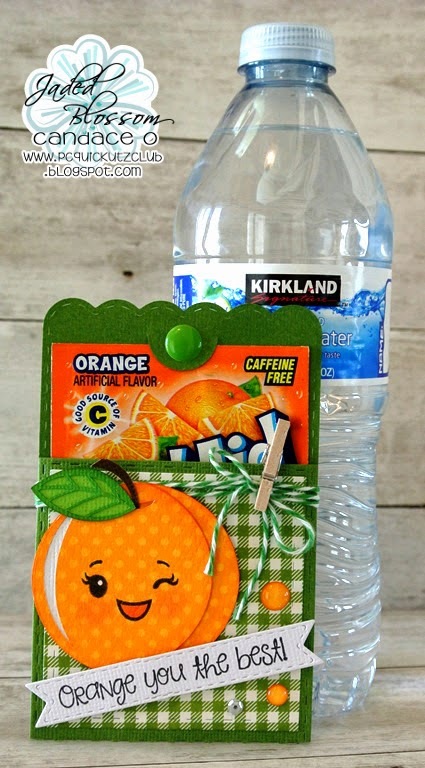 I placed a Kool-Aid drink package inside the die, folded up the front flap and decorated the front. I used the medium square die from the Card Mat Dies for the pattern paper front and then to keep this closed, I wrapped twine around the top. Love this die as a pocket treat!! To "plug up" the hole so to speak at the back of the lollipop die, I used the circle tag from Mini Tag Dies 2, stamped with the circle "thank you" from Birthday Candies 2 and stuck it on ~ voila!! Your easily removed wrist strap, & some of grips, unquestionably frees models private preference other possibilities for any strategy this you decide on to implement a haul. gucci replica sale To the arm haul baggage around all-natural set present a strong quick splendor to your a lot of laid back dress up. louis vuitton replica sale On the lookout for this ground breaking preference, well opt for a your arm haul travelling bag by using stud points of interest plus website company element. dior replica To get care-free a short time to the beachfront and also all those very lazy tours louis vuitton replica sale in that case god's gifts to earth posters is going to continually generate a pleasurable different to incorporate in your special collection of haul baggage. louis vuitton replica sale Take a stroll to the rough outdoors section by using tiger by means of snakeskin layouts.